» Should Our Fraternity Give This Guy a Bid? My issue is that this guy is NOT our normal guy, but I strongly believe this guy can help turn our fraternity around, he can pay dues, make his grades, and is very organized, which most of our brothers have a problem with having all 3 of those qualities. Any advice ? I’m going to answer your question, but I don’t know if you’re going to like what I have to say. First, the President and VP are supposed to be in charge of very different things. I don’t mind the two of you to team up working the two positions – that’s what I do with some of my advisors on our board – but you need to make sure you’re getting all the responsibilities of both jobs done. If you’re not, then covering down for your friend may not be what’s best for the fraternity. Second, you said this guy “can pay dues, make grades, and is very organized, which most of our brothers have a problem with.” Okay, so you’re COO (& part-time CEO) of a company that fails at most of its important business metrics? You have bigger problems, and you’re the guy most in charge of fixing it. Are you a fraternity or a social club? What are you doing about those issues in your active fraternity? How are you improving these people’s lives? Do you think the example set by one new member to the active fraternity when that guy doesn’t fit in and isn’t trusted or respected is going to change the fraternity? Does that sound reasonable to you? You need to move decisively to put in financial, scholastic, and fraternity management programs that make actives learn those skills through on the job training. You need continuing education programs. Fraternity men aren’t successful in the real world because they strapped some letters on and networked an interview. They’re successful because they’ve been in the trenches developing the skill set and running a serious business for years before their peers get that opportunity in the real world. 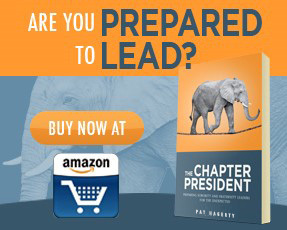 As VP, those internal operations of the fraternity are your job above all else. Don’t get distracted by an emotional attachment to one new member, or any other minor issue. All these objections you raise from other brothers seem legitimate to me. I don’t know what not your “normal image” guy means. Diversity of perspective makes collaborative decision making stronger, but taking a guy that cannot fit in hurts you. If he isn’t accepted into the brotherhood, then it’s fake and meaningless to everyone. If brothers have a legitimate concern that he isn’t and won’t be accepted, then that’s a valid issue that deserves discussion. I don’t want to be anyone’s second choice. I wouldn’t take that from a girl, no matter how hot, so why would I take it from a rushee that wants to be part of the thing I value the most? It could be done, but it would take a lot to convince me otherwise. That’s a valid discussion too. I don’t know where this concern for secrets is coming from, but it’s important. If your brothers legitimately think the guy can’t keep his oath of secrecy, then you can’t keep him. Most chapters expose new guys to minor stuff they wouldn’t want in public and see how they respond to judge their trustworthiness with the ritual. We give up charters to protect our ritual and what it means. We’re supposed to be willing to give up our lives to protect it and our eternal souls if we reveal it. If your brothers don’t trust a new member to that degree, you must cut him. I appreciate that this new member has a lot of good qualities about him, and I’m sorry your fraternity is inconsistent on some of those same things. Obviously, you want to take quality, responsible new members that meet their obligations. That’s how you build from the bottom up one brick at a time. But, those qualities alone aren’t enough. You need the package of those things in someone that fits your group. Otherwise you’re sacrificing brotherhood for money and GPA points, and we don’t do that. The “normal guy” for a fraternity can change over time, but it has to happen incrementally. You said the guy went through with another fraternity two years ago and dropped. I don’t know how much your fraternity spends on recruiting per year, your dues rate, or retention rates so I can calculate your cost per bid. But, I’m guessing it takes a couple years to break into the black. This guy is a junior. Your best case is break-even financially when he’s graduating. He’s a financial risk with no potential gain, so he should be blue chip in other ways to justify taking him at all. It negates the “he can pay dues” argument. I’m sure at this point it sounds like I’m against the guy. In truth, I don’t know him or your fraternity, and it’s not my place to tell you either way. My point is to say these are valid discussion items. You should respect your brothers. Despite their flaws, the judgment of the group is usually better than an individual. Make your case to them, but respect and support what they decide. Spend your fraternity recruitment efforts looking for someone with those qualities, who is also a better fit. And, don’t get bogged down with stuff like this when you have such heavy lifting on your own to turn around your fraternity and take it to the next level. I love that you care so much. Just keep it pointed in the right direction. Good luck! Hopefully it’s about things a lot more meaningful than the brotherhood. The brotherhood should flow from the common bond in that higher calling. You are a small group of men allied against the world to accomplish whatever your ritual says. But, it’s really difficult to do that when there’s disunity and distrust or a lack of respect and acceptance among your brothers. You have to fix your house before you can fix the world. If that means selectively not taking someone who might in some ways look like an asset because it hurts the cause, then you just have to take the hit and spread the recruitment net wider to pull in an asset that is a better fit. Love this answer. Fraternity is about the brotherhood. If most of the brothers don’t want a guy, then it doesn’t make sense to let him join. Do you really want a fraternity where the brothers don’t want the other brothers around? No one wins in that situation.